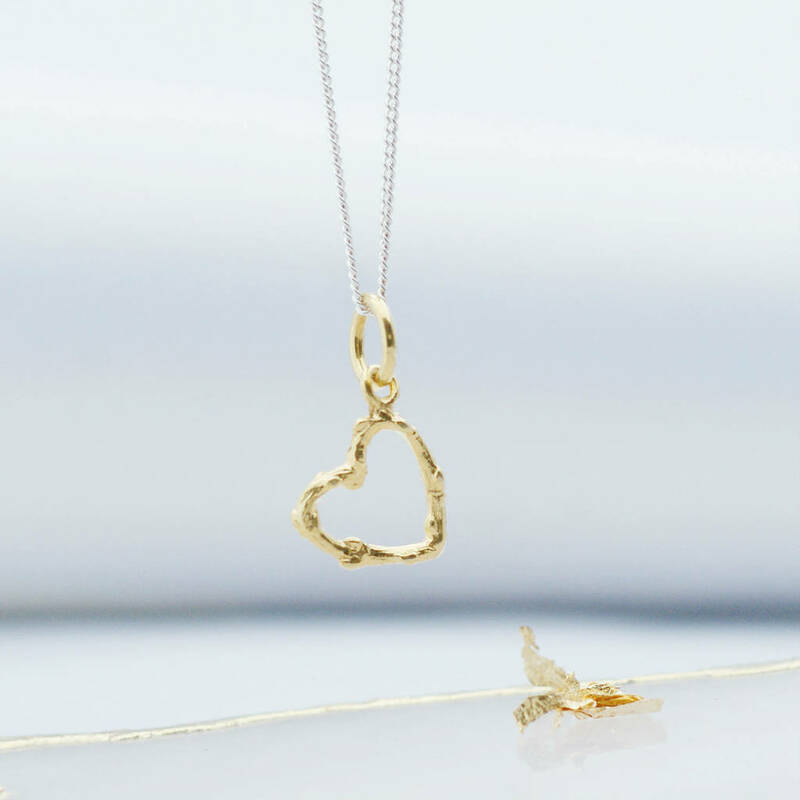 This twig heart necklace signifies love with its budding branch detail. 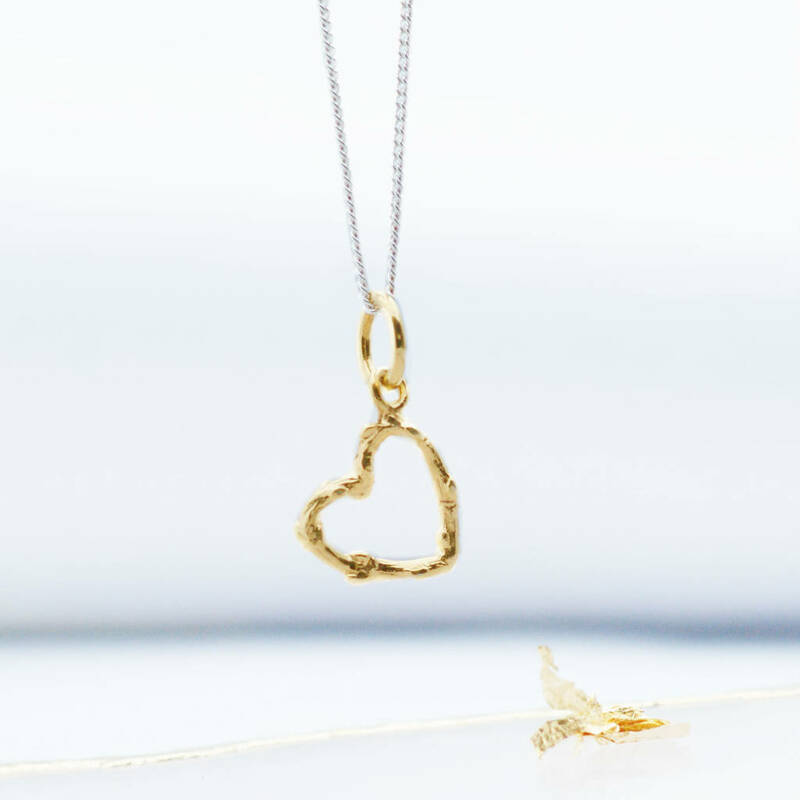 This heart necklace makes a thoughtful gift for bridesmaids & birthdays. 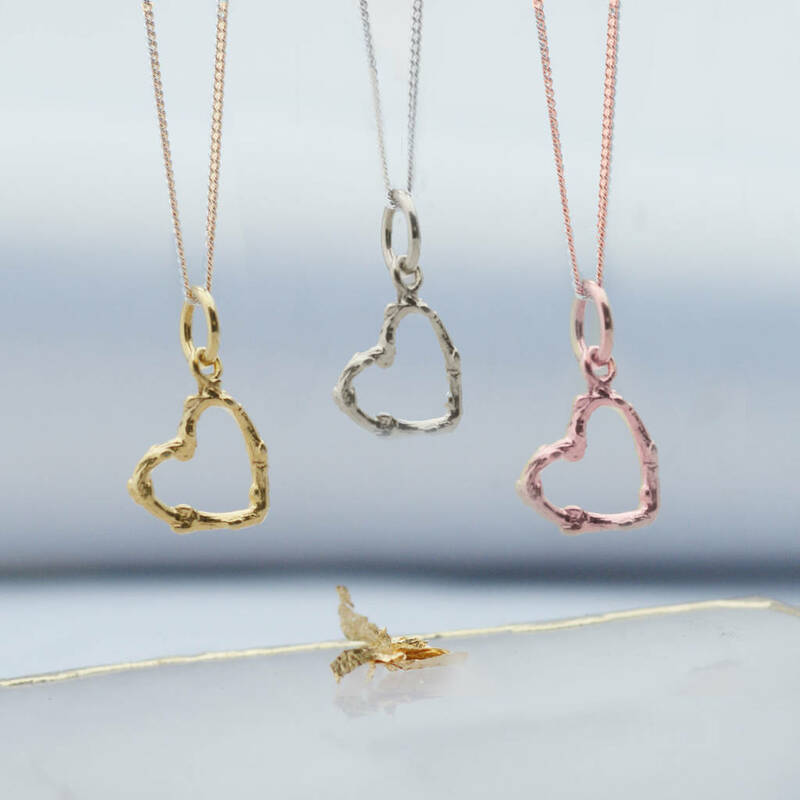 This handcarved open heart twig necklace has an inregular shape which catches the light to offer a contemporary and stylish look, suitable for everyday wear or to add a touch of luxury to that special outfit. The Twig heart pendant moves freely along the beautifully delicate silver chain. 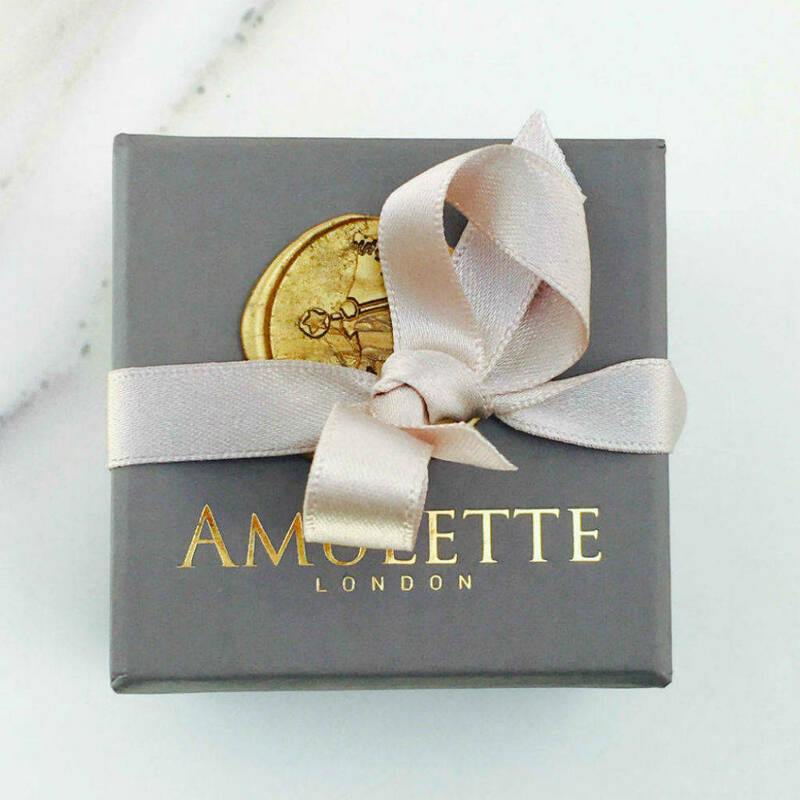 This necklace is the perfect symbol of love and would make the perfect gift for your loved one. 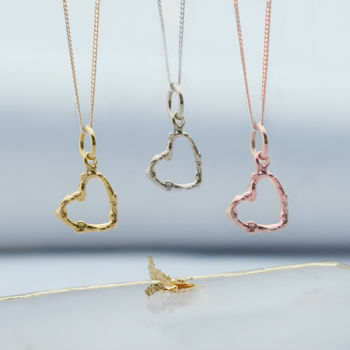 Comes with an adjustable silver, rose gold or gold plated curb chain 16 to 18inch silver curb chain - please select your preferance from the drop down menu.